Von Lucid Eye kommen zweieinhalb neue Modelle. The first 30 orders will receive a signing from Trish Carden herself! 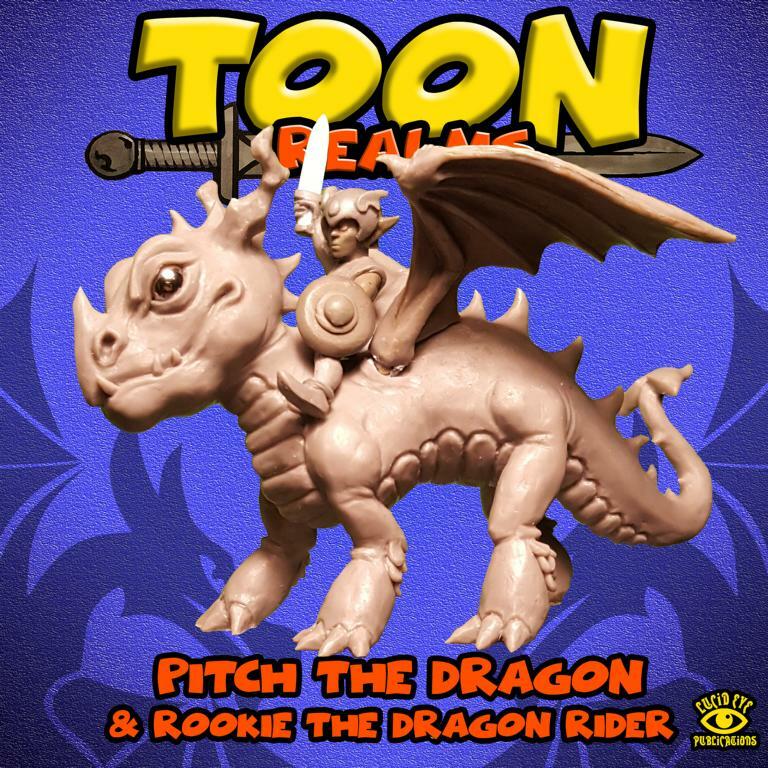 This product contains 1 resin cast Pitch The Dragon, Toon Realms Scale multi-part resin dragon, and 1 Resin cast Rookie The Dragon Rider miniature. Product requires assembly. 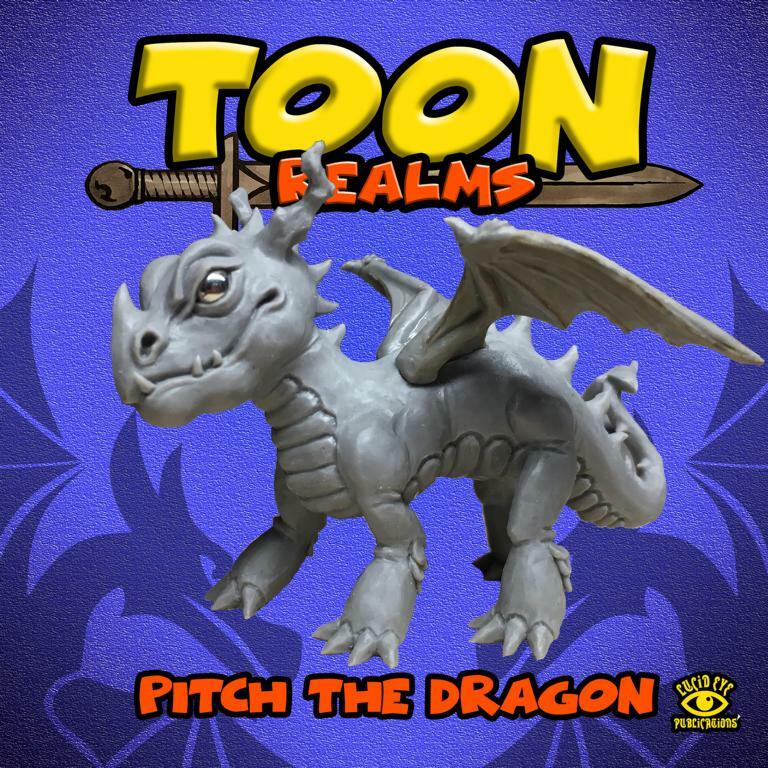 This product contains 1 resin cast Pitch The Dragon, Toon Realms Scale. Multi-part resin dragon, requires assembly. 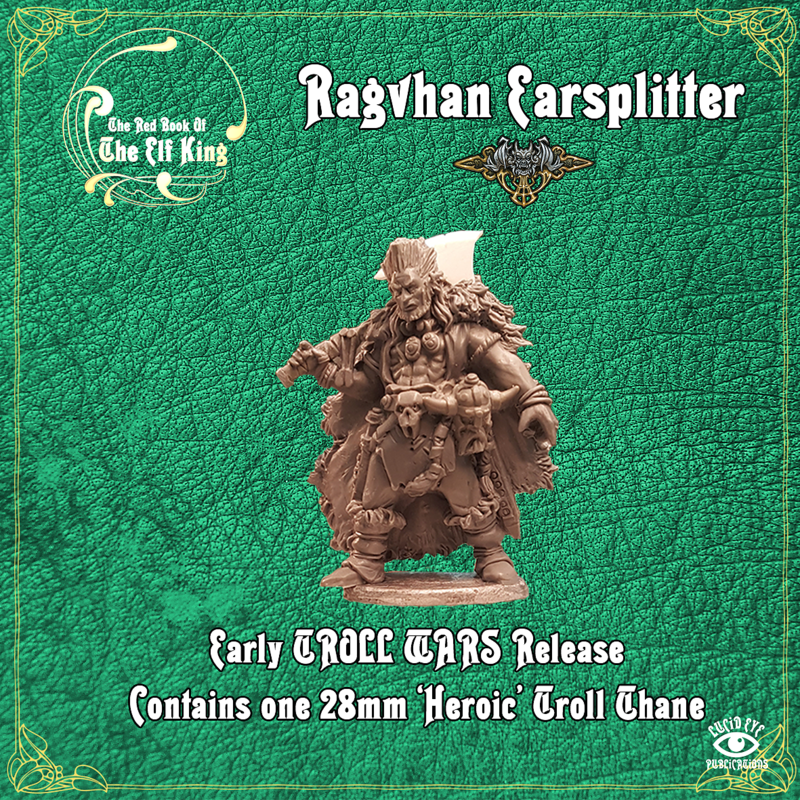 One ‚heroic‘ 28mm white metal figure, for use with the upcoming The Red Book of The Elf King: TROLL WARS book, provided with one 30mm display base. Sculpted by Steve Saleh. Ich finde das echt gut ! Der Drache ist super. Ragvhan ist ein Must-Have.